A common table lamp emitting soft white light is lying on the pillow. The interesting thing to notice in this picture is the object used is itself the source of light which formed a thick black background producing no shadow. The originally Black & White picture gets the tint of green form the Curves Preset Cross Process (RGB) option. 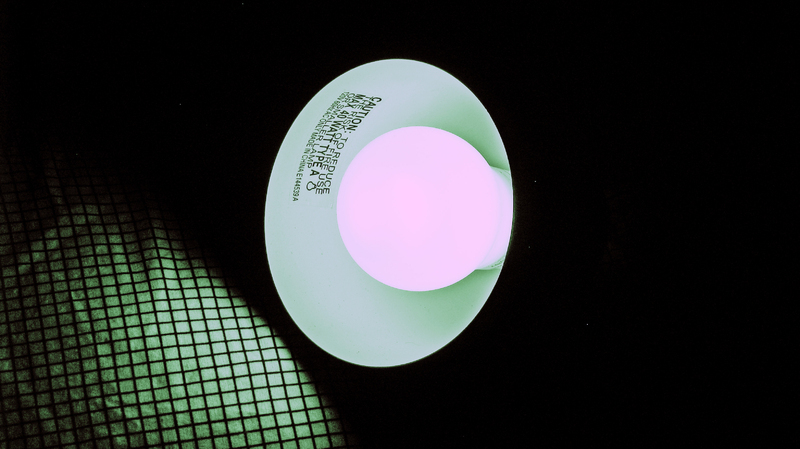 The luminosity of the bulb is increased using Match Color/ Luminance option. With the increase of luminosity the picture demanded expansion in the curve of light falling on the pillow. This is done using Shadow/ Highlights command.